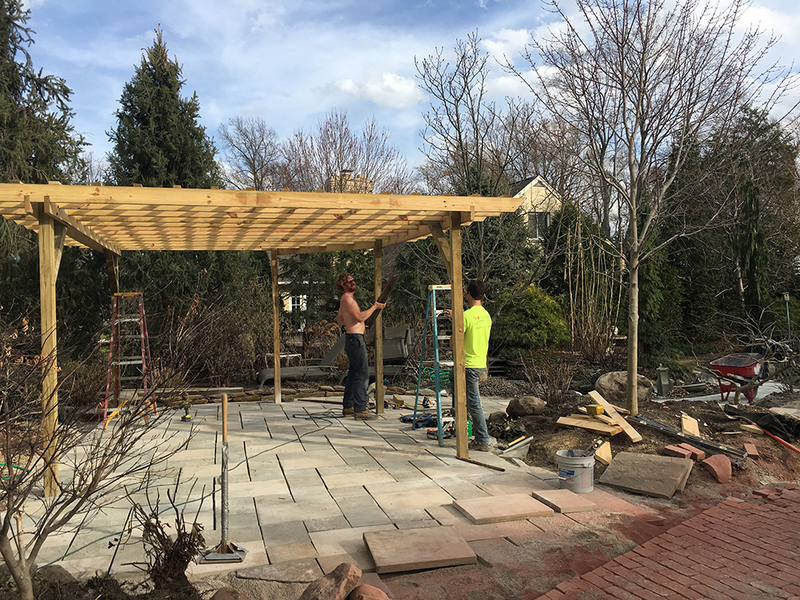 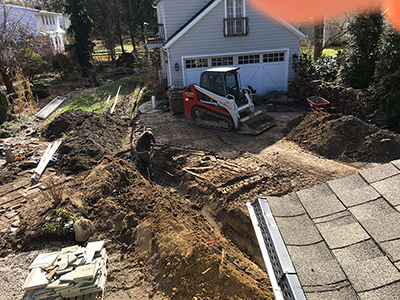 Transforming a backyard by creating a shaded patio. 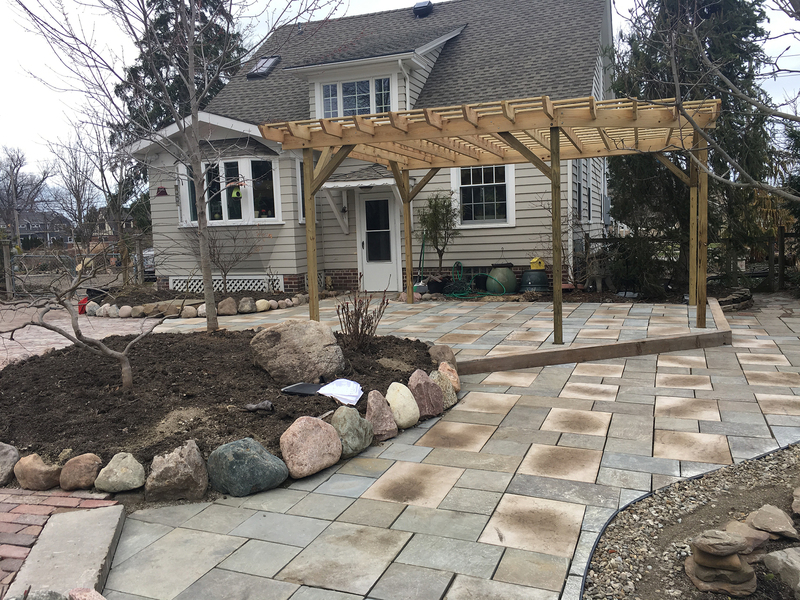 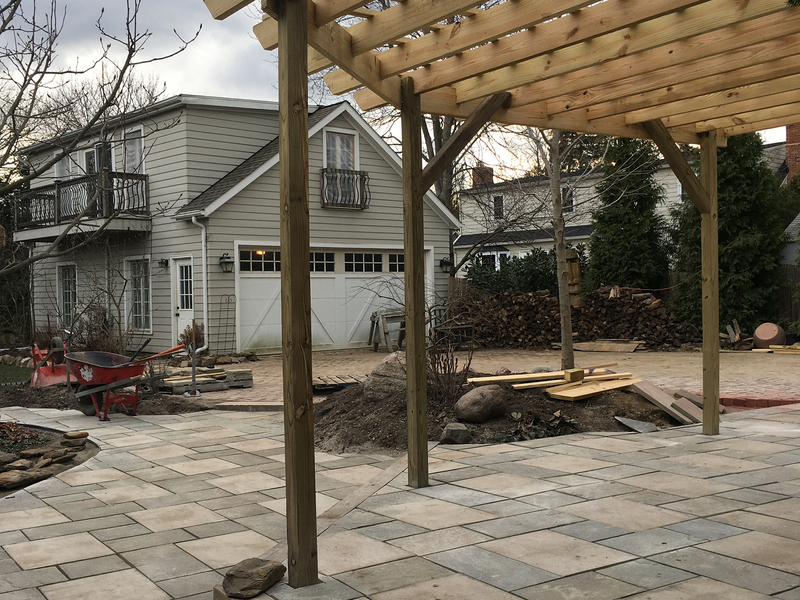 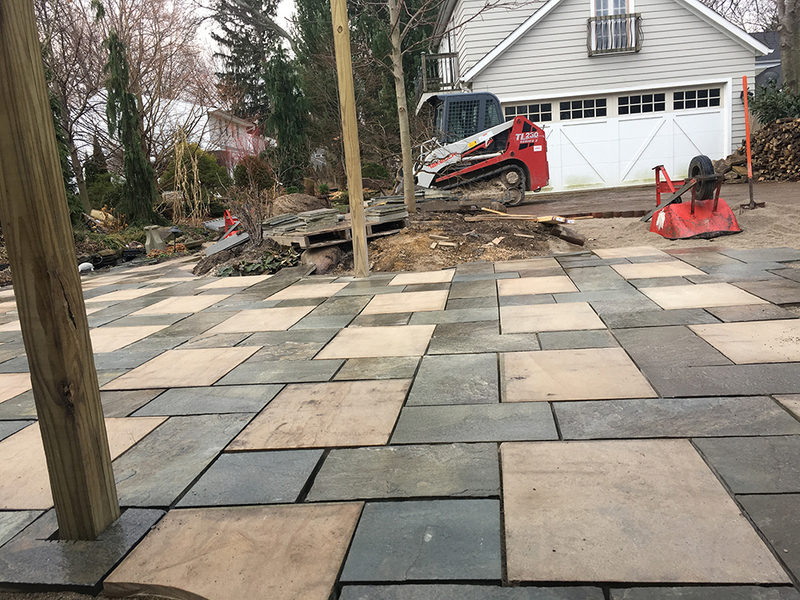 Pergola Sandstone Patio was once just a deck. 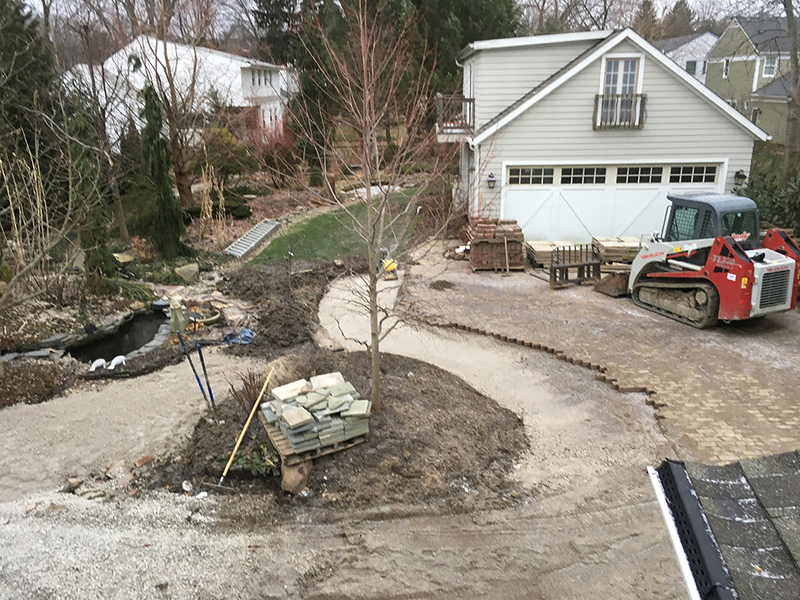 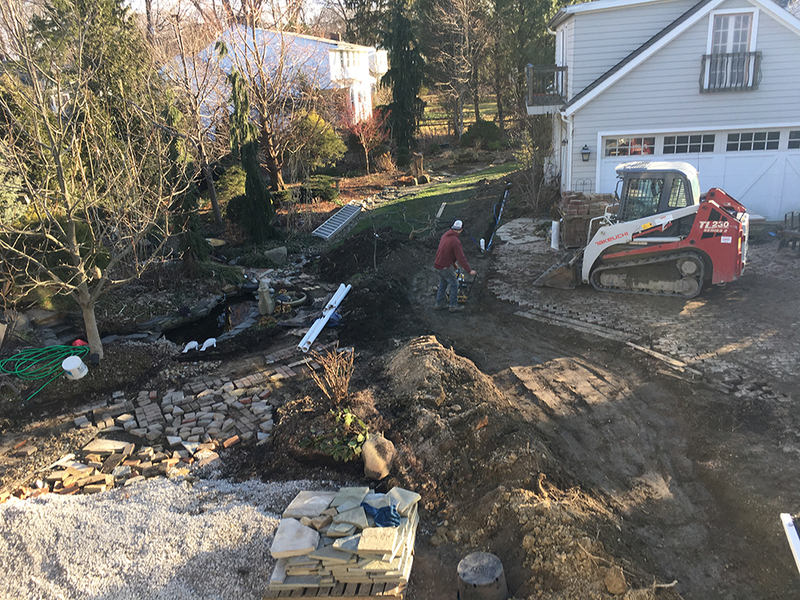 Our goal was to create an expansive hardscape resulting in integrating the patio to surrounding gardens and ponds. 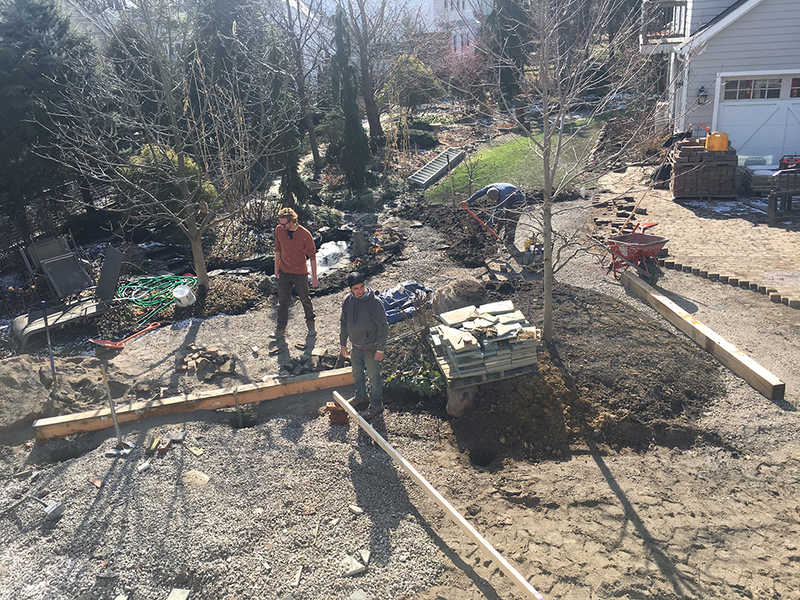 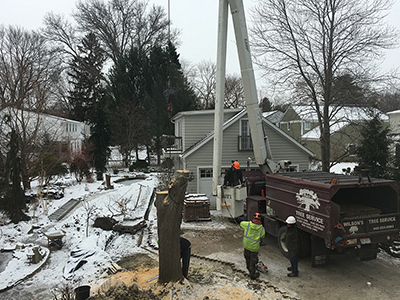 Planting a large colorful Maple was step one. 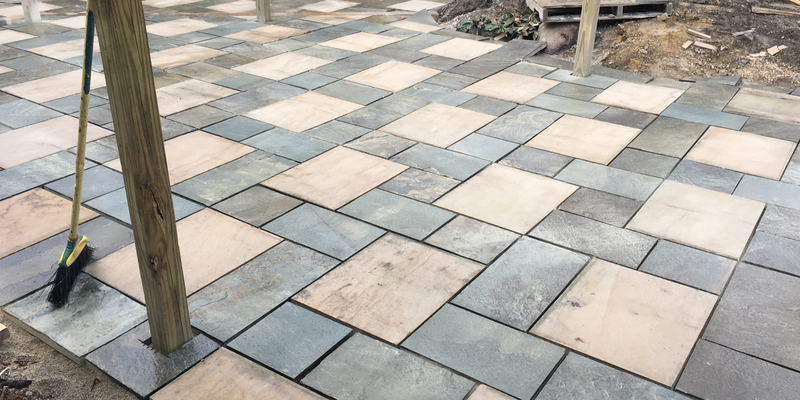 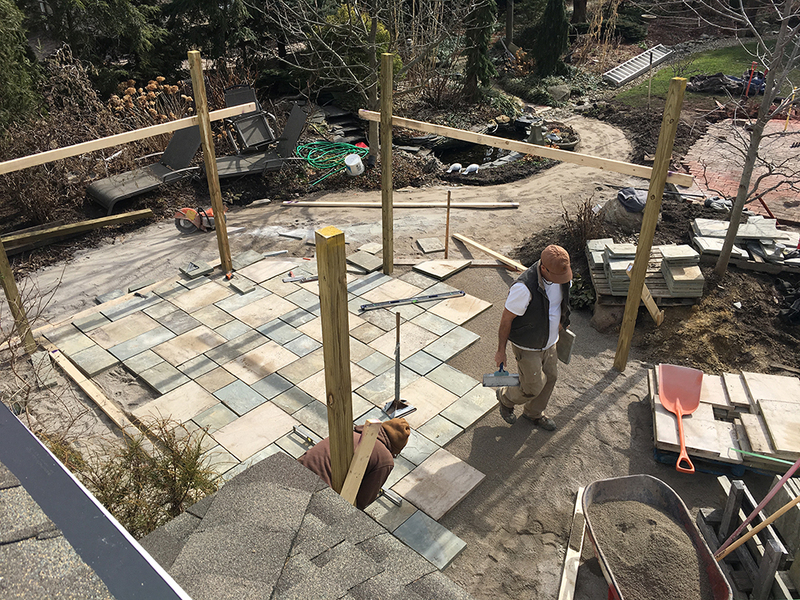 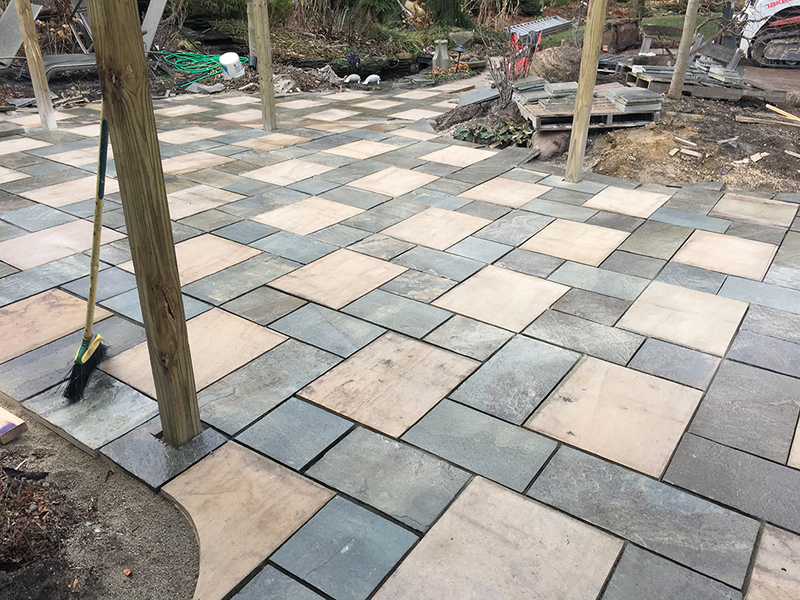 We are expert at engineering the proper foundation for the sandstone which ensures the life of the patio. 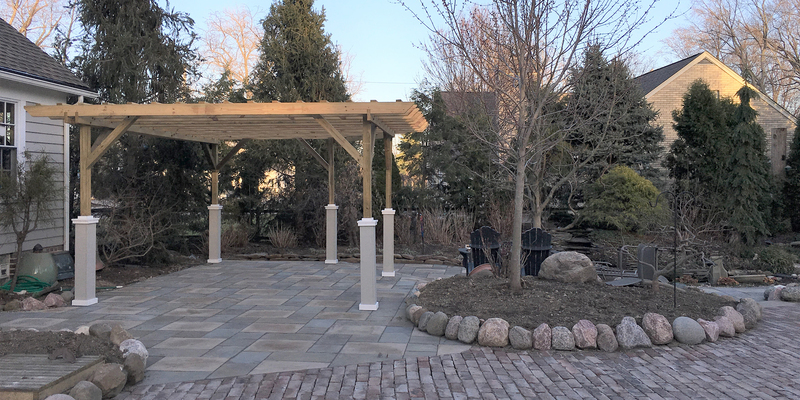 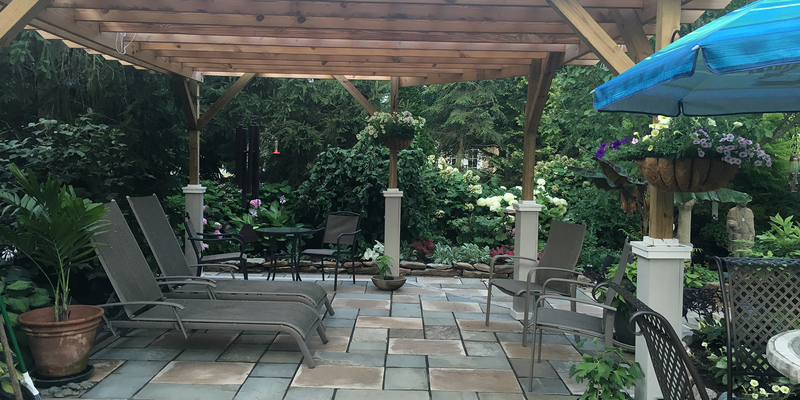 Our custom-built pergola shades and embellishes the garden. 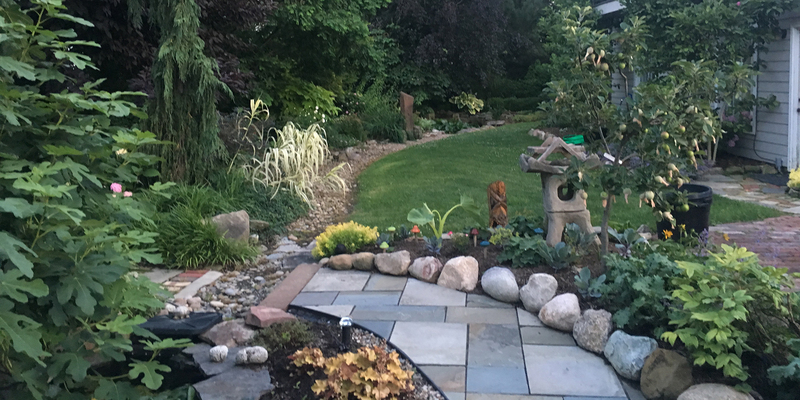 Fire up the grill and don’t call me late for dinner!